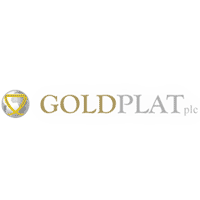 Goldplat Plc (LON:GDP) CEO Gerard Kisbey-Green talks to DirectorsTalk about the results for the 6-month period to 31 December, 2017. Gerard shares his thoughts on the highlights, the numbers, progress on the recovery growth platform in Ghana and the good progress on the Rand Refinery dispute. The Group reports an operating profit for the six-month period of £1,578,000 (six months ended 31 December 2016: £1,009,000). Goldplat Recovery (Pty) Ltd (‘GPL’) performed exceptionally well, Kilimapesa Gold (‘KPG’) showed major improvements (despite production stoppages during the election period) and reduced substantial historical losses to near break-even, whilst Gold Recovery Ghana (‘GRG’), which performed exceptionally well during the six months ended 31 December 2016, reported lower profits in-line with forecast, not having the benefit during this period of the large clean-up performed for a major producer during 2016. Exchange rate fluctuations, especially on intercompany loans and receivables, resulted in unrealised foreign exchange losses impacting on profit before tax, reported at £832,000 for the period under review (six months ended 31 December 2016: profit of £1,354,000). GPL and KPG increased production of gold and gold equivalents for the period, whilst GRG reported lower ounces produced during the period under review, in-line with forecast, not having the windfall of the clean-up during the 31 December 2016 period. The production of gold and gold equivalents for the six months’ period under review of 20,246 ounces (six months ended 31 December 2016: 21,317 ounces) compares favourably with the year forecast. Goldplat Plc has maintained a healthy cash reserve of £918,000 (31 December 2016: £835,000) notwithstanding the repayment of interest bearing borrowings of £505,000 and GPL investing £800,000 in precious metals raw materials stockpiles. Capital expenditure of £1,009,000 for the period was primarily spent on the expansion of operations at GRG by way of the installation of an elution plant, with capital expenditure in South Africa and Kenya substantially completed for the foreseeable future. The elution plant in Ghana is in the commissioning stage and commercial production is imminent. GPL and Rand Refinery have reached full and final settlement in the dispute between the two companies, paving the way for the revival of the long relationship with Rand Refinery which we trust will continue for the benefit of both parties. Next: Change of direction or gradual normalisation?